like the title say when the hood is open i cannot find any lights. 2011 GS vert. this is not what my owners manual say. My 07 Narrow bodied car didn't have one and neither does my 10 Grand Sport. What page in your owner's manual does it say there's an underhood light? I'm looking at a 2011 owner's manual, and I don't see it. 6-9 if you have a french version of the o-m. 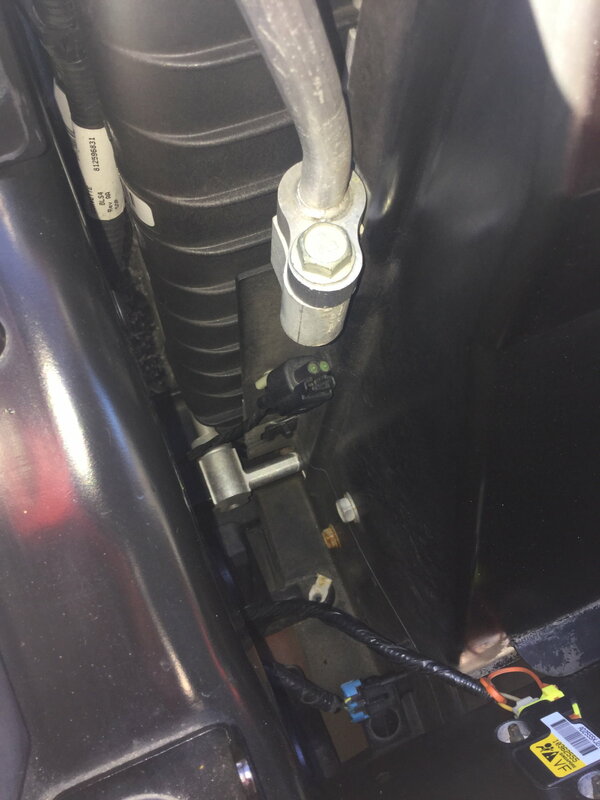 Here's the same phrase in english... "This vehicle has a feature to help prevent the battery from being drained in case any of the following lamps are left on: the underhoodlamp, if your vehicle has this feature, vanity mirror lamps, cargol amps, reading lamps, console,or glove box lamps. Simply put, C6 Corvettes after 2006 (I believe) no longer has this feature. If you buy the correct hood liner you can add it back. The connector is still there. Nope it's still there. My 2013, right side of radiator. My 2007 has the light. My 08 does not have the light but the connector is there. My buddy’s 07 has the light. They deleted the light (but not the connector) about a third of the way through the 2007 model year. Light was deleted because it was causing many new Vettes to be delivered to the dealership with dead batteries. my 07 does not have a light.